As an admin to several LinkedIn groups, I recently received an email from LinkedIn letting me know the impending changes as LinkedIn updates groups for 2018. As we all are painfully aware, the interest in group activity has dropped to an all-time low over a year ago. People complained about too much spam being posted and the lack of engagement by the members of a group and so users spoke by simply ignoring groups and they virtually died. I also want to mention, there were many trainers over the years teaching people to join as many groups as possible with the theory that if you joined groups of people that were your target client then you would be noticed, and opportunities could come of it. In theory it seemed like a good idea, but what happened was too many sales people made the mistake of spamming people and posting salesy, self-serving content that was not engaging nor did it elicit discussion. 1.) iOS app is going away – effective February 15th. They can no longer support a standalone app. 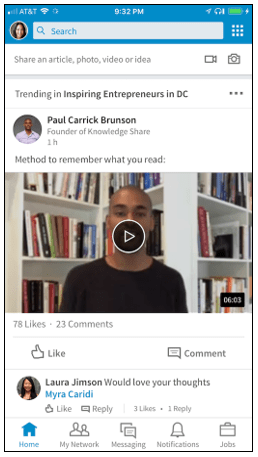 You’ll be able to post videos into your groups, @mention the members you want to weigh in, and keep the conversation going by replying to comments which equates to being part of richer conversations. Video has become key on content strategy, this could be a game changer only if video is relevant to the group and thus it gains valuable engagement. WHAT CAN GROUP ADMIN’S DO? • Update the rules of the group in the details section. If you want members to change, then let them know the expectation of your group. • Update your group templates. This is where you automate your welcome message, request to join message, decline message and decline/block message. • Manage your posts through a moderation queue. If you are starting a new group or revamping an old one, to avoid the past mistakes of members posting anything they way, you may want to moderate post to ensure they meet the rules of the group as outlined in the details section. • Approve members who ask to join to ensure those who request to join meet the requirements of your group. A good example of this is people from out of state or country who want to join a local group where members meet in-person. If the rules of the group were stated for ‘local’ people only, then you want to send those requests your decline message. This maintains the integrity of the group members. HOW CAN GROUP MEMBERS CONTRIBUTE TO A GROUPS SUCCESS? • If you are no longer interested in participating (that means getting engaged with group members in discussions) than do everyone a favor and leave the group. • Stop posting your blog posts thinking everyone is interested in your stuff. • Initiate a discussion by asking thoughtful questions that are relevant to the group members. • Help someone else by leaving a comment to their discussions. The best way to stop screaming into cyber space is engaging and letting people know they are heard. • Limit your groups to those you really care to learn and now the members and grow from there. More isn’t always better, it’s just more! • Be thoughtful – purposeful and connect with like-minded people. Great relationships will develop. LinkedIn experienced big user growth in 2017 which means more people are active and taking LinkedIn seriously. 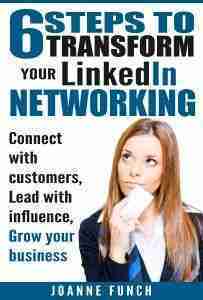 If we all commit to the success of LinkedIn groups,the result will be maximized value. I’d love to know what you think about LinkedIn groups going forward, leave me a comment below. Thanks for the thoughtful analysis and best practice ideas..I have not been curating my group much because of that low response rate, and I have had issues with people posting pure marketing material or mainly a link to their website for marketing, which then had to be moderated more frequently. I think it’s a challenge because people will tolerate a lot more on Facebook, and also use it differently. I have also noticed a lot of people posting politically charged stuff on Linked In, which really kills the discussion. Thanks Nancy for your comment. I think we should all see what shakes out now with renewed commitment from LinkedIn to make the user experience better. By admins doing our part is how we can participate in that experience. Great read JoAnne! I just completed virtual reconstruction on my old group, updated all details and templates to match the current group focus, and removed members whose profiles don’t match the group interests. 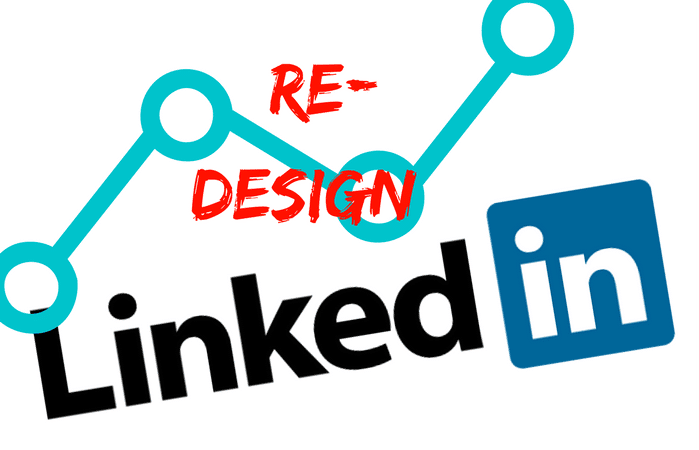 LinkedIn is the best social media platform for those I’m meant to serve so I came across your article while doing extensive research on LinkedIn engagement, products, groups, etc.. Appreciate your willingness to keep us informed! I would like to start a LinkedIn group for administrative professionals serving small offices. I created the group some time ago, but I don’t know how to invite people. Is there a step by step hack for creating and announcing a new group? Thanks. Good question. There are two ways to invite people to your group. what’s in it for them to join. Include the URL to the group. Your article says that the updates made it easier to discover groups but I am finding the opposite. I am unable to search group titles, instead I am only given a directory which is alphabetized by name. There is no link to groups in the site menu or the footer. The “Discover” groups page only has a list of groups LinkedIn thinks I may be interested in. I have switched to a different industry and am unable to see any way that I can search and join groups in my new industry other than browsing the alphabetical listing. LinkedIn will not suggest these new industry groups to me. If there is an easier way to find and join groups please let me know! thanks for your question and it is a good one! P.S. I just published a new free guide you may be interested in downloading called: 7 ways to transform your LinkedIn network from just building a data base, to gaining valuable business connections! Disabling the ability to share to groups is a huge step back! I post to discussion groups and get hundreds of views and comments on most of them. You have now made discussions in groups, and the groups themselves, much less valuable. thanks for weighing in on the subject. Stay tuned, LinkedIn is making more changes to groups and I remain optimistic that they will be improved in the future. How long will this wait be? The missed opportunities seem to be piling up. I agree it was one of the best things to receive and share targeted information, and by eliminating this Linkedin has moved a step closer to untargeted social media, losing one of its competitive advantages. thanks for your comment. Linkedin is rolling out updated groups now. I don’t know what they have planned, so we will both be surprised. No ability to add a title. No ability for admin to make a group announcement. As others have mentioned – difficulty with UX. LinkedIn has the poorest decisions when it comes to UI, and I do know a thing or two about it. People should be fired. David – I agree on UX! 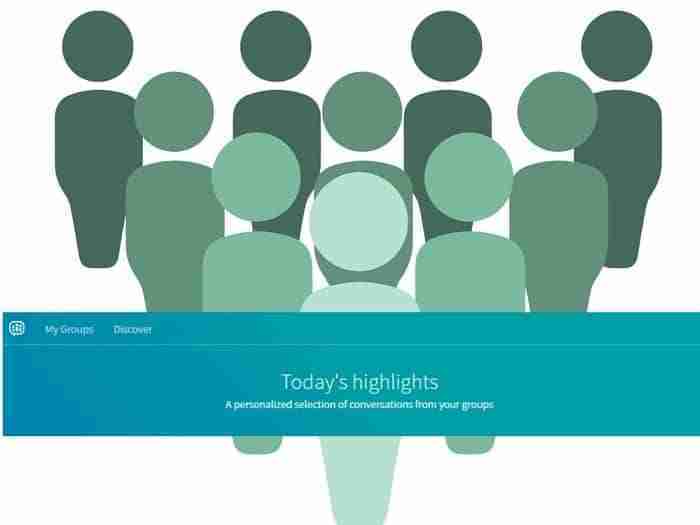 LinkedIn would benefit from listening to user focus groups to help them form a feature that benefits the members. I can’t find the analytics any more. I also miss the ability to promote my content across different groups. But what is more of an issue is the disappearing of group analytics. If you can’t see how busy groups are then how to choose which are worth putting your time into? I understand the pressure to stop spamming and hustling but the danger is that groups will simply die as we stay in our own timelines. In theory my own following is more accessible than the groups. So why bother posting in them? Hi John, thanks for your comment. I don’t like that group managers can no longer send announcements, that makes no sense to me. LinkedIn obviously has taken away the ability for group managers to really drive a group. 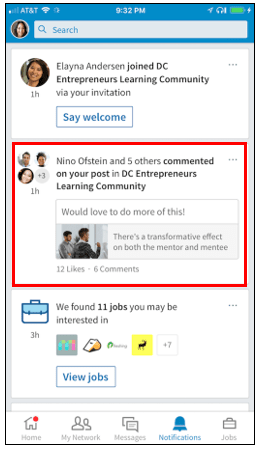 Who knows, I suspect there is more to come with groups as LinkedIn wants to keep people on the platform and engaging in groups is a way to do that. The issue I seem to be having with the groups recently are invitations. I have been asked to join a couple of groups (standard) and LI seems to be having trouble allowing me to join. I receive the permanent “Something seems to have gone wrong, please try again later”. Suggestions? Thank you! In addition to taking away the ability to communicate with our group, LI has also taken away the ability to moderate posts, right? Do you have any insight into what the so-called “changes in the coming months” are going to be. I have found this chapter of our LI experience to be profoundly disappointing. Hi Julie – correct there is no moderation and basically LinkedIn has taken away everything a group admin can do except approve new member requests.